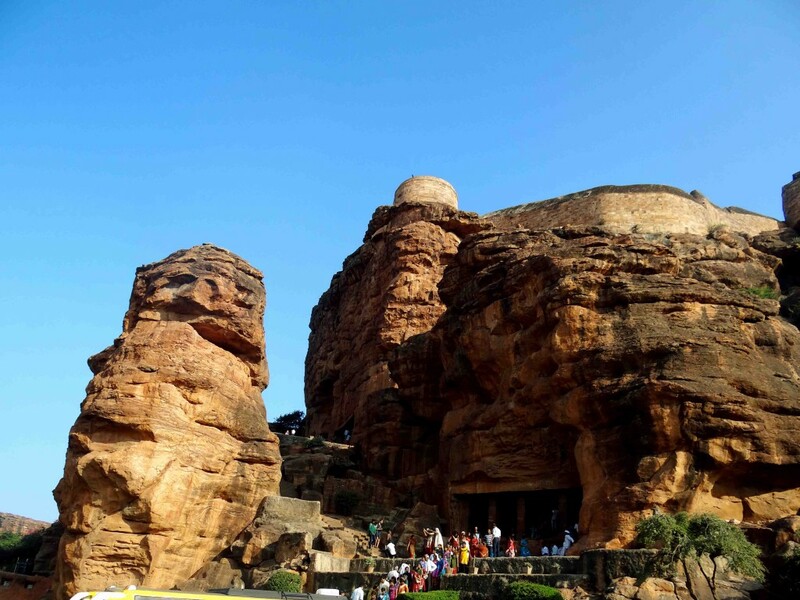 If you have planned a trip to the very beautiful Hampi, don’t forget to make a trip to Aihole, Pattadakal and Badami rock cut cave temples. You will be totally mesmerized by their beauty and definitely be in awe of these places. All these places can be combined in a single day. You would need to book a cab since the places are pretty far from one another. 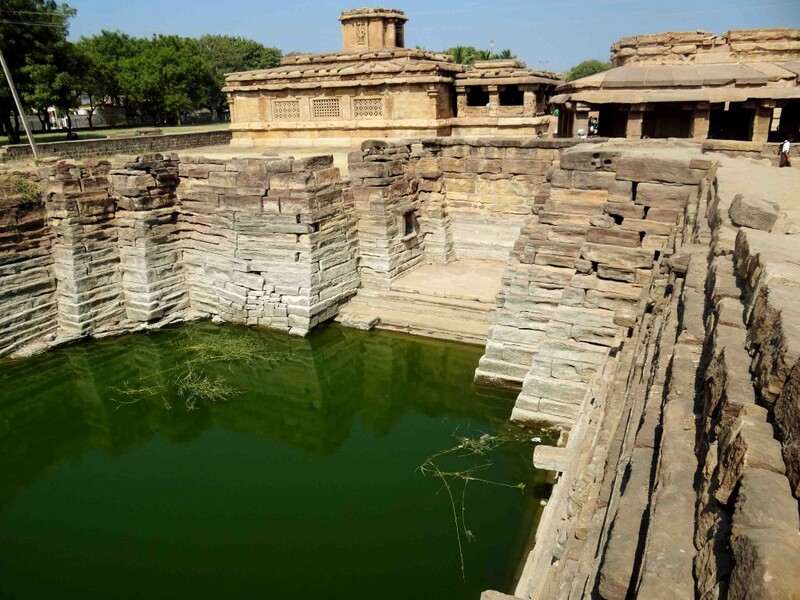 Aihole is about 2 hour drive from Hospet. 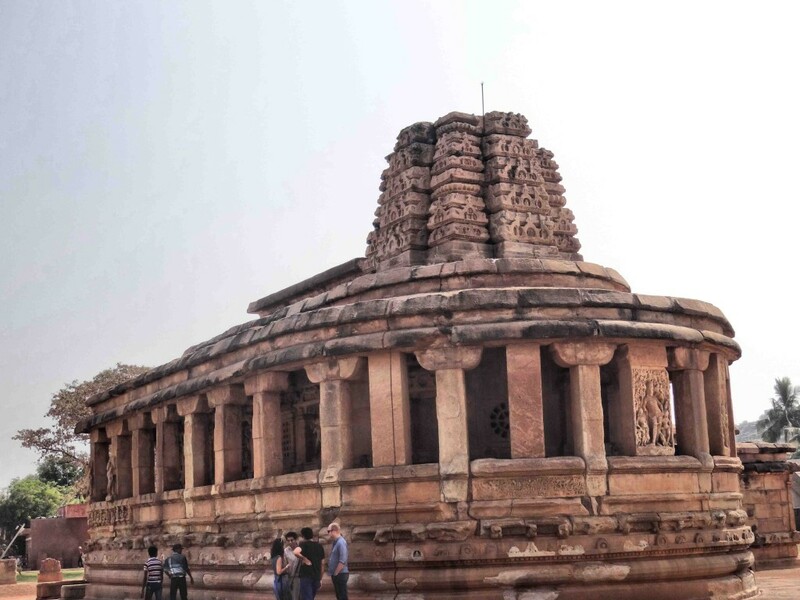 Aihole is also often called as the Cradle of Hindu temple architecture. You can find many inscriptions here which depict the achievements of the great Chalukyan King, Pulakeshi II. 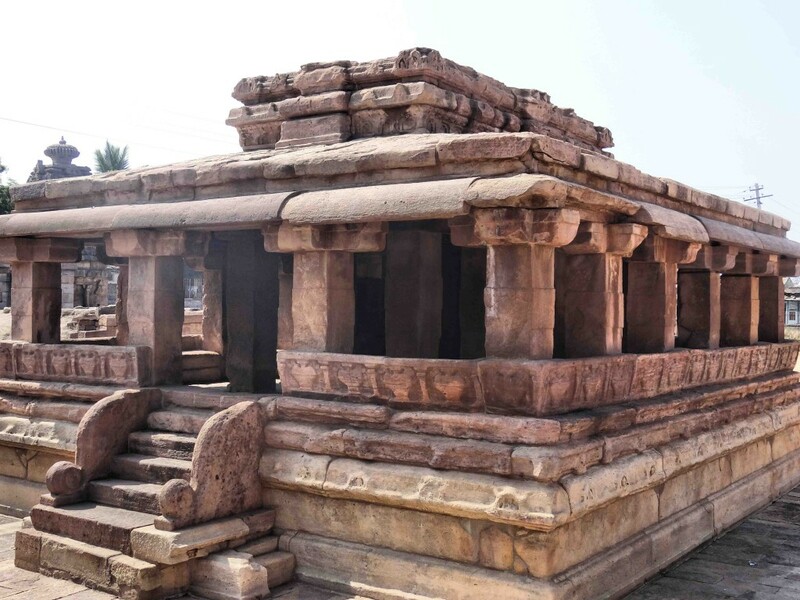 Chalukya style of architecture originated in Aihole. 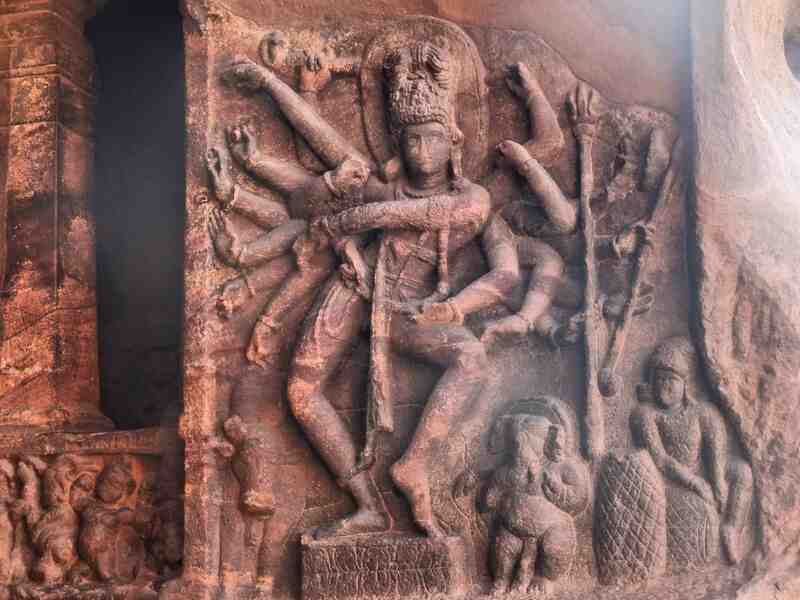 Durga temple at Aihole-The entire structure is filled with carvings- On the pillars, on the rooftops, inside the sanctum. 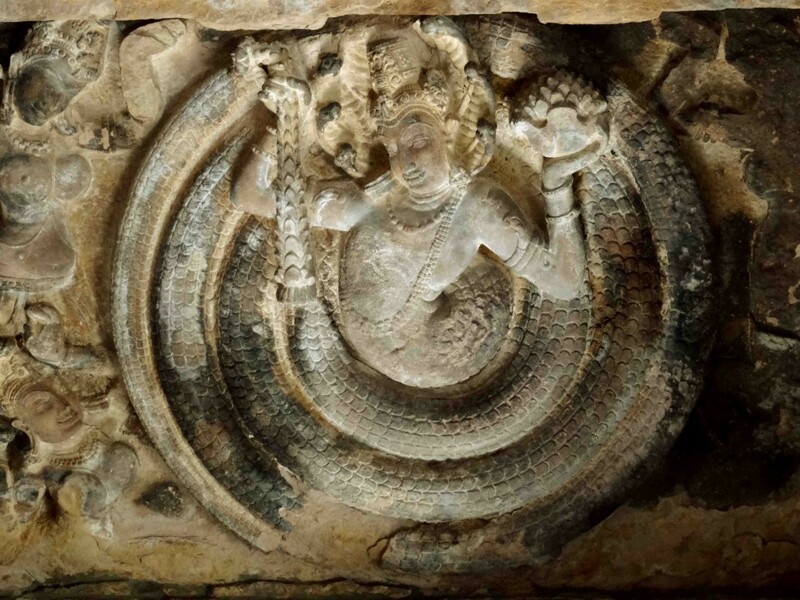 Rooftop carving – indicates snake God. 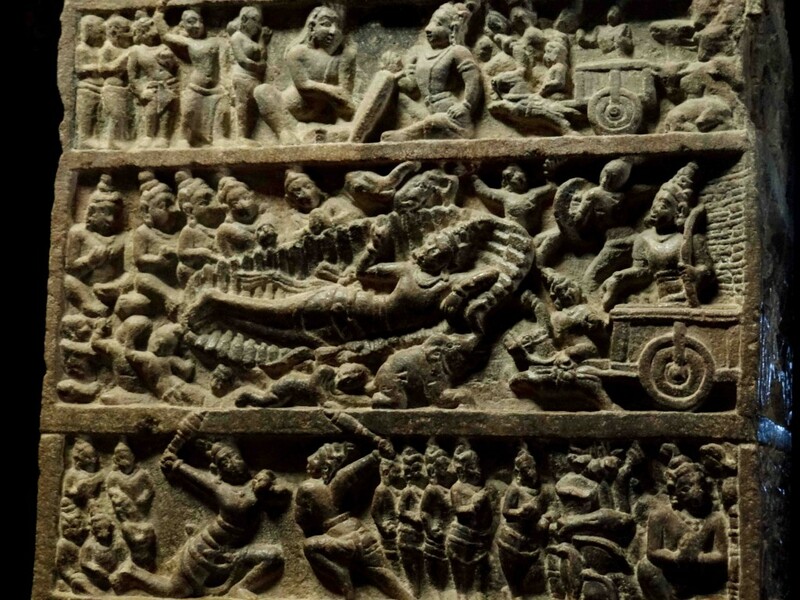 Notice the smallest of smallest details depicted in the sculpture. The structure that you see in front is the Kalyani [water source]. This was used for the temples here. The structures behind are again temples built mainly for Lord Shiva. I was left wondering how on earth they could make such wonderful structures with such less resources then. It is like every sculptor was in love with the stone that he was sculpting and the romance is so evident! 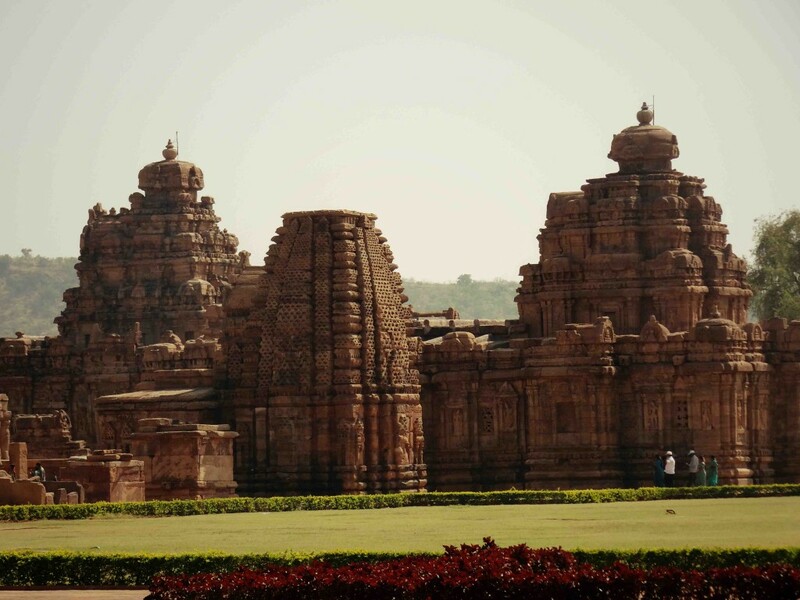 Welcome to Pattadakal! Oh, it is such a beauty I tell you! It also recognized as UNESCO World Heritage Site. 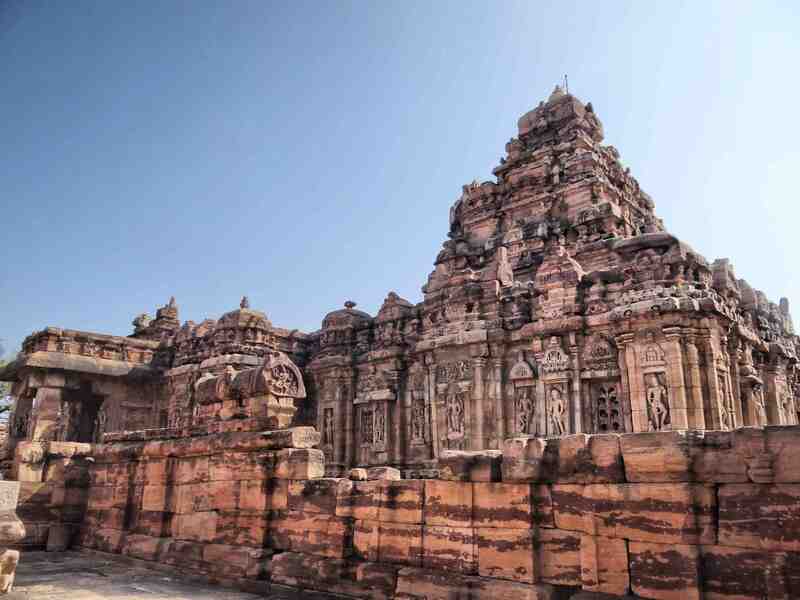 It is said that Chalukyas practiced their art at Badami rock cut cave temples and then came to Pattadakal to build these beautiful structures. It was also the capital of Chalukyas. 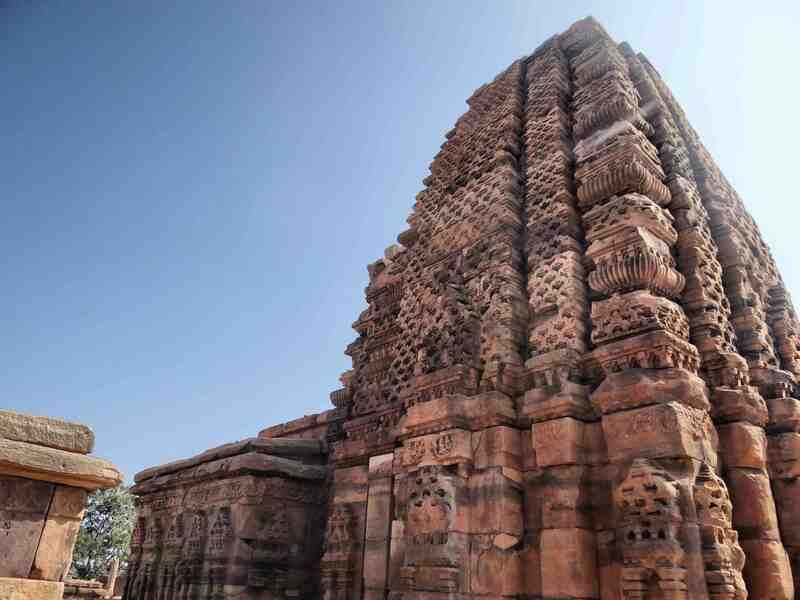 Pattadakal is just 10 kms from Aihole. A view of how it looks when you enter the place – Isn’t it gorgeous? It is like a cluster of temples put together and each one of them are so unique in their own ways. 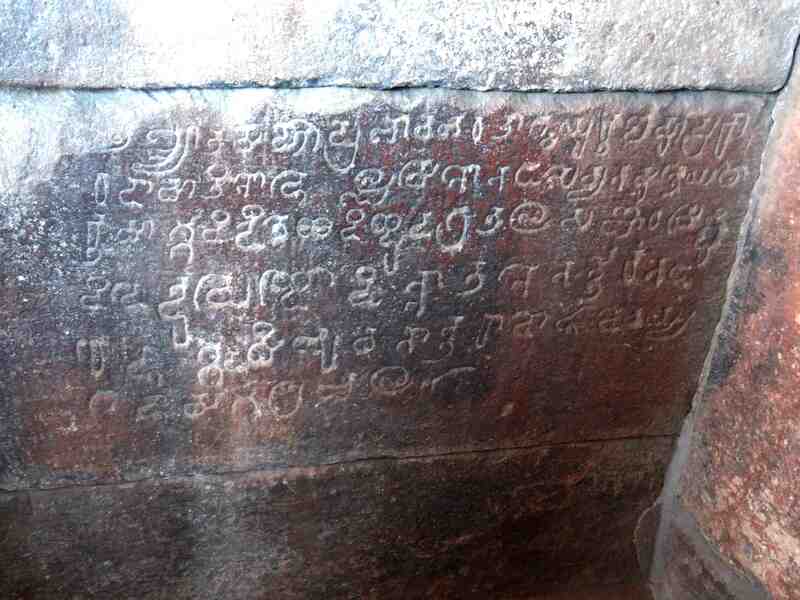 One of the Inscriptions found there. Many inscriptions are present here. Some indicate as to why the temple was built, some others tell the history about the place. 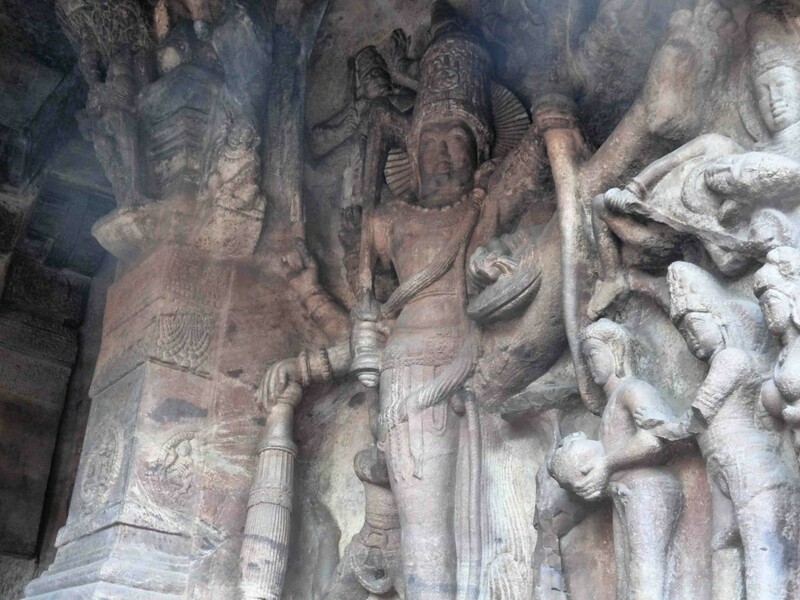 A pillar depicting various stories about Lord Krishna. There were also many pillars depicting stories from Ramayana as well. Sri Kasivisvanatha temple – Wondering how long it must have taken them to come up with this! The structures are mostly in Dravidian style. There are few Jain temples as well over here. 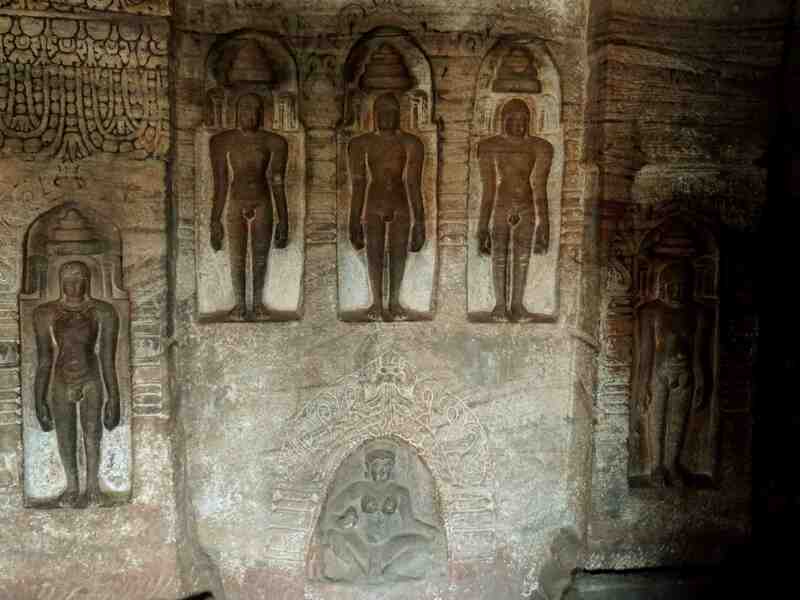 Importance was given to Jainism as well during the reign of Chalukyas. This is the entrance. The one you see in front is dedicated to Lord Shiva. Also notice the topmost part. It’s actually a fort. It also has a cannon present till this date. Entry isn’t permitted now till the fort as many untoward incidents have occurred in the past. Lord Nataraja – The divine cosmic dancer! Notice the Ganapati there. Isn’t he looking all cute? I so loved the Ganapati depiction here! 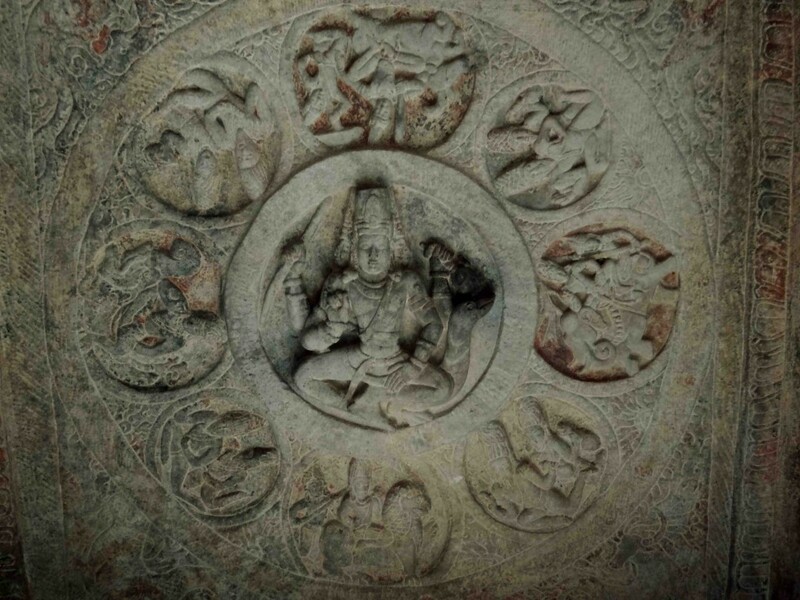 Ardhanareeshwara – Can you guys see that? 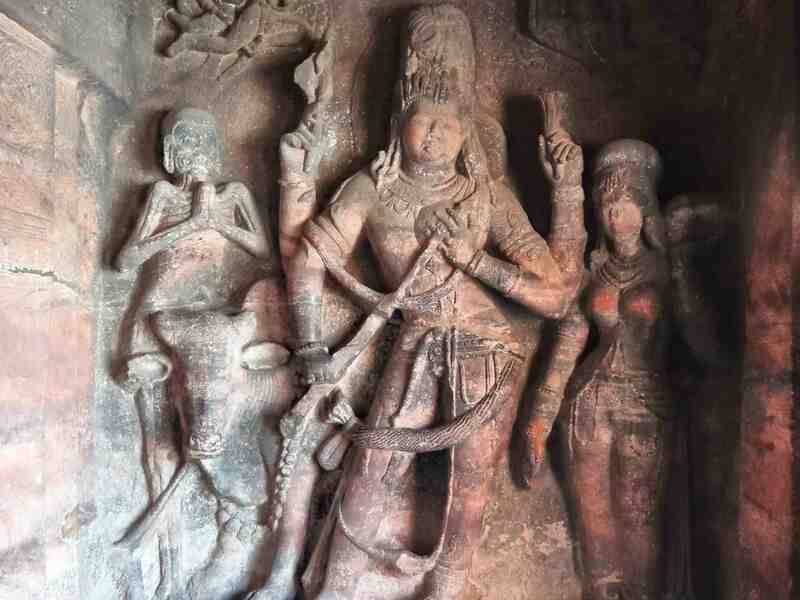 Left side is Parvathi and right side is Shiva. 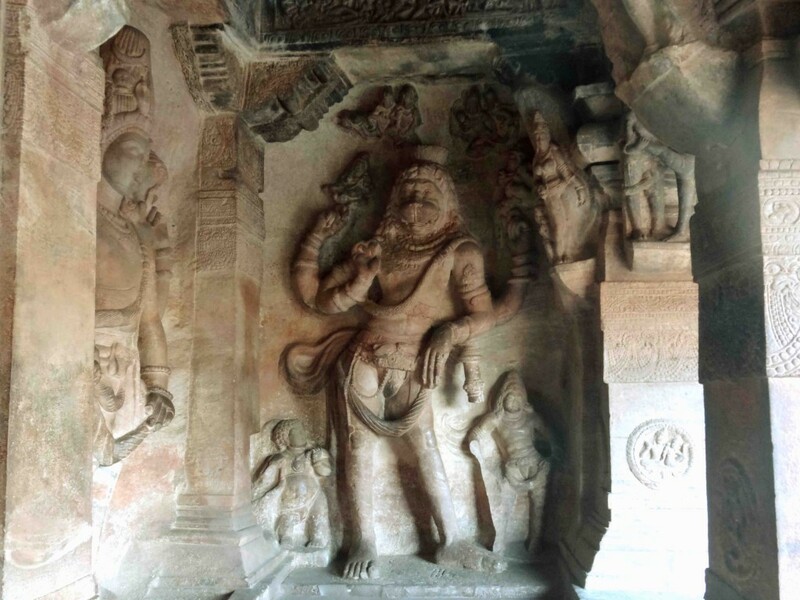 At one of the rock cut cave temples dedicated to Lord Vishnu. Rooftop carving at Vishnu temple. This is an outcome of one of the practice sessions of the artistes ! Mighty impressed!!! It speaks so much about their perseverance, hard work, and love for art, imagination and focus. Inside the temple dedicated to Jainism. 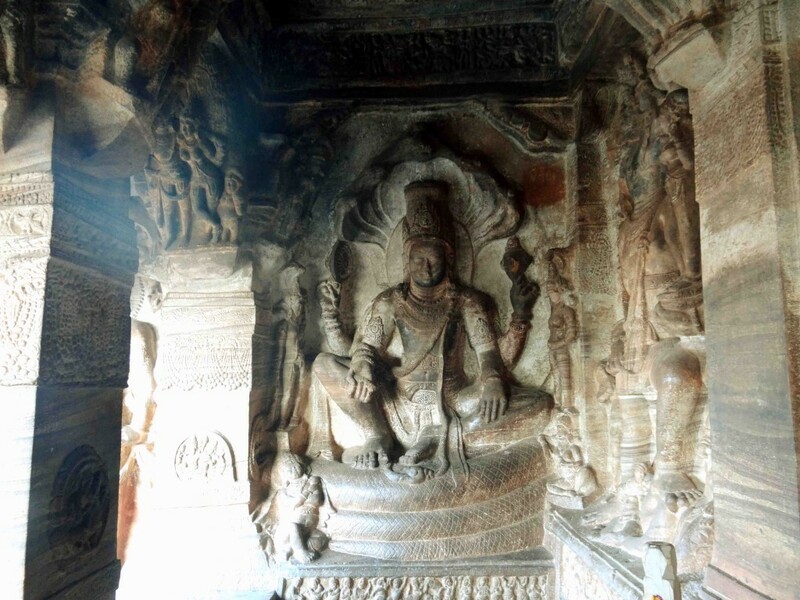 The sanctum houses the sculpture of the great Mahavira. All the pillars here are filled with engravings of Jain Tirthankaras.